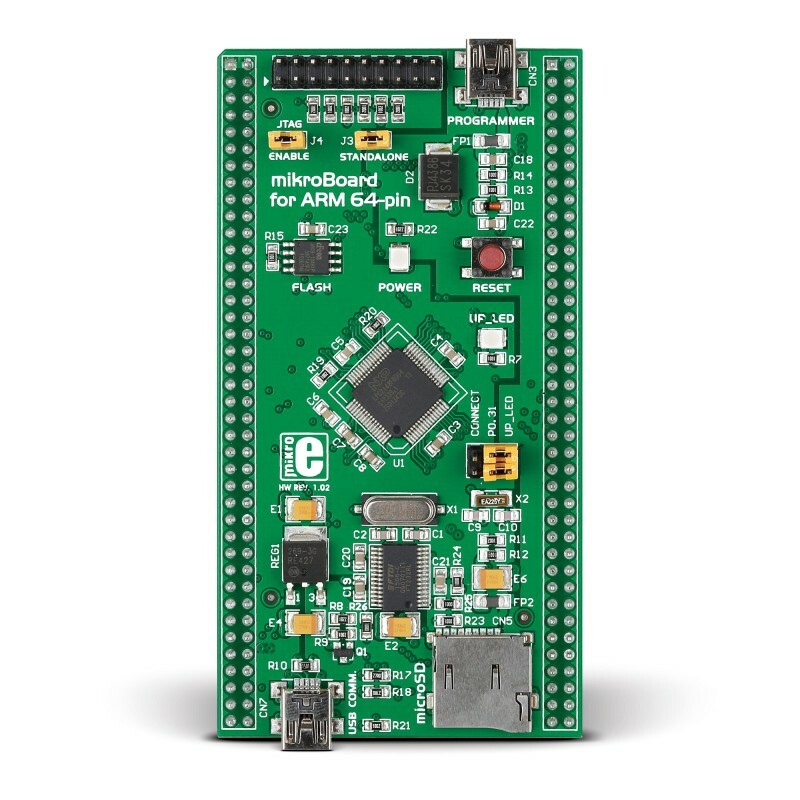 MikroBoard for ARM 64-pin is primarily intended to be connected to the EasyARM v6 development system but can also be used as a stand-alone device. 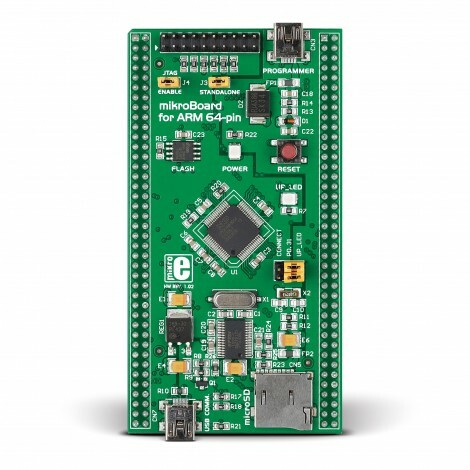 The board features the LPC2148 microcontroller, flash module, USB connectors, microSD connector, JTAG connector, USB UART, voltage regulator and connectors that enable connection with a development system. The LPC2148 is connected to on-board modules via pins which are also connected to the CN1 and CN2 connectors. These two connectors enable the board to be connected to the EasyARM v6 development system or some other device.